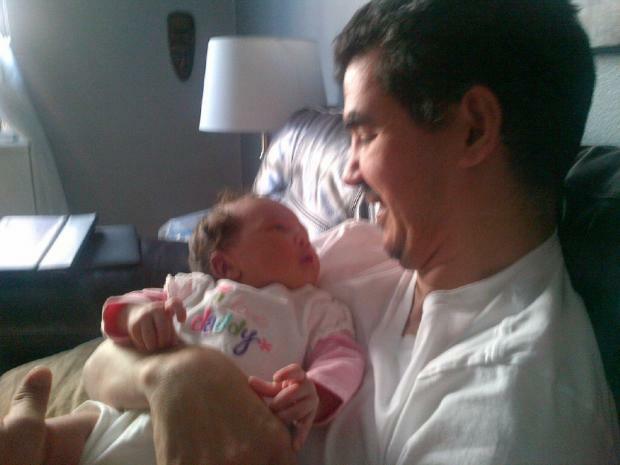 CITY HALL — City Councilman Ydanis Rodriguez isn't the first council member to become a father while in office, but he is believed to be the first to take formal paternity leave. Rodriguez, who represents Upper Manhattan's Inwood and Washington Heights, surprised some constituents when they learned he was taking formal leave after the birth of his second daughter late last month. "One thing that I have learned with my first daughter is that time goes so quick. And I want to enjoy every single day,” Rodriguez told DNAinfo.com New York as he settled back into his daily routine after two weeks off. Rodriguez, who also has a 6-year-old, said that, while he made an effort to attend community meetings and other events while he was gone, his main focus was spending time with his family. "I learned that being with my wife on the first days is so important," he said. The City Council does not keep formal records of parental-leave requests, according to a spokeswoman from the speaker's office. But staff there and other parent members couldn't recall another father who'd made a formal request for leave. That's very different from female members, who have routinely taken paid time off after giving birth. "I honestly didn't even know that we were entitled to paternity leave," said Queens Councilman Eric Ulrich, whose wife gave birth to their daughter, Lily, last Halloween, just as his district was being lashed by Hurricane Sandy, and in the midst of an unsuccessful state Senate bid. Another recent dad, East Side Councilman Dan Garodnick, said he took two weeks off after his son was born two years ago, in January, but never made any formal application for parental leave. "I just remember knowing that I was going to take two weeks," said Garodnick, who explained that he treated the time off like vacation days — even though his BlackBerry was always on and his staff in close contact. Upper East Side City Councilwoman Jessica Lappin, on the other hand, who has given birth to two sons while in office, took eight weeks of formal maternity leave for each kid. “It's never easy to take time off, but I thought it was something that was important to do," said Lappin, who said that she tried to introduce legislation around paid parental leave several years ago, but found there was little room to maneuver since so much policy is dictated by the state. "It’s a very magical time. It’s a time where the world does stop around you and you have these really special moments with your new child," she said. “Being able to be home and focus on my own recovery and having that bonding time was really critically important." According to council documents obtained through a Freedom of Information request, members are expected to notify the council's "Legislative Documents Unit" when they are absent from meetings and hearings due to "maternity leave, paternity leave, medical leave or jury duty," so those absences can be excused. Rodriguez said the experience made him realize the hardship faced by parents whose jobs don't provide paid parental leave and instead have to use up their sick days or holidays or forgo pay if they want to take time off. “One thing that I've learned in this process is that this nation has a lot to do to improve maternity and paternity leave,” he said. "I think that nationwide, when we compare, we fall behind."